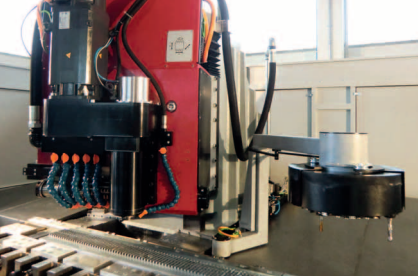 The precision profile milling machine moves a column in the X-direction and is equipped with a programmable, servo-motor driven C axis with a tilt range of -30º to +30º. 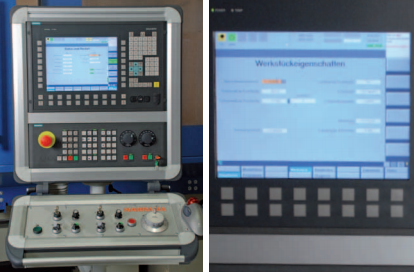 The base machine is equipped in such a way to enable precision production with high availability. 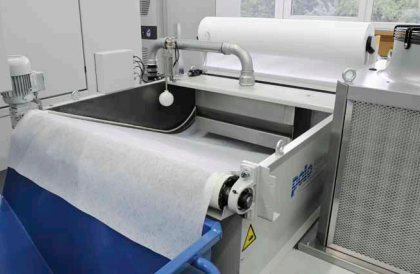 Partial enclosure, direct position measuring systems for all axes except rotary axes, and an air-conditioned control cabinet are just as necessary in our opinion and are therefore included as standard equipment, as are chip conveyors, a cooling lubricant filter system, and vibration-damping installation elements. 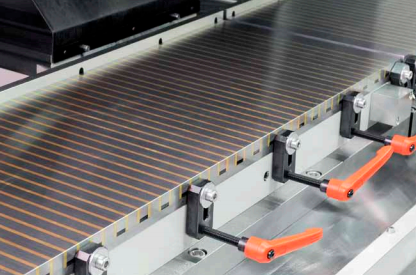 The machine bed of the moving-column machine is a ribbed welded design. 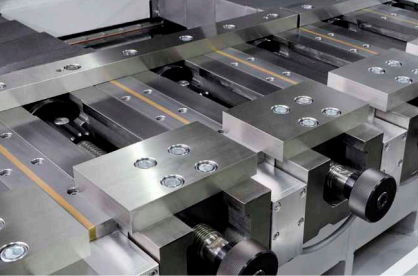 The generously dimensioned guideways for linear axes X, Y, and Z are centrally lubricated. 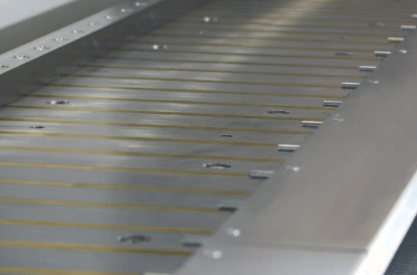 Solid steel covers protect the guideways of linear axes X and Y.
Loading during primary processing time by pendular processing, optionally with partition. 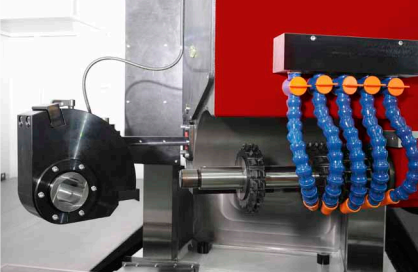 Quick and simple milling tool change by a swiveling counter bearing. Can also be fitted with a tool changer (for 10 tools). 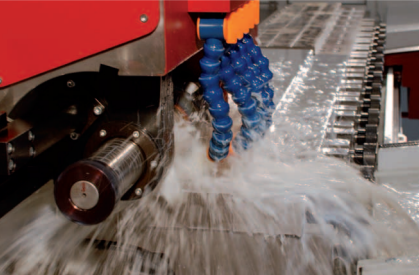 The full covering allows high quantity of cooling lubrictaion which enables a long tool service life. With a 13 kW cooling unit for emulsion. Gressel Gripo 160 with a clamping force of 70 kN max.